Cell Reports is not only the latest addition to the Cell Press suite of journals, it also holds the honor of being the group’s first open access journal and the first Creative Commons journal published by Elsevier. Authors in Cell Reports retain full copyright over their articles and are able to choose between two Creative Commons licenses for publication, one of which is the most permissive license offered by Creative Commons. Cell Reports Editor, Boyana Konforti, spoke to Editors’ Update about why the journal chose this particular open access path. “Cell Press has always placed a high priority on access to its content; each of the journals offers free featured articles and the sponsored article option*, and all content is freely available after 12 months. Cell Reports goes further by providing authors with an opportunity to publish in a prestigious journal with immediate and unrestricted access. “It was important for Cell Reports to be able to offer authors Creative Commons licenses. The most permissive license allows end users to share and adapt the paper, both commercially and non-commercially. The other option allows the article to be copied and distributed, but it cannot be changed in any way or used commercially. “I’m not sure how much time our authors spend deciding between these two licenses. However, I do know that for open access advocates, the fact that we offer the most accommodating Creative Commons license, and that copyright is retained by the authors, is a big deal. “It is still early days - we published our inaugural issue at the end of January and we publish new articles weekly – but as time goes on it will be interesting to see whether authors favor one license over the other. “The aim of Cell Reports is to publish high-quality papers encompassing all scales of biology, from the organism to the atom, with a focus on short papers. There are, of course, other open access journals – in fact, quite a number have launched just in recent years – though few have the high standards and prestige of the Cell Press brand. There are also other journals that publish short papers, and still others that have a broad remit. But it is the unique combination of these features that will distinguish Cell Reports within Cell Press and beyond. I like to think of the old adage of the sum being greater than its parts. "So far, we have been very pleased with the number and breadth of papers we’ve been receiving. The in-house editorial team of Cell Reports, which consists of me and Sabbi Lall, are responsible for reading all the papers and deciding which ones go out for external review. In making that decision we have the good fortune to be able to call on the extensive editorial expertise available across all the other Cell Press journals. "We also ask our Editorial Board for advice. This unique board consists of up-and-coming scientists who are the new leaders in their respective fields and will help shape the journal from the ground up. They are passionate about their subject areas and enthusiastic about the journal. "Even for those papers that do go out for review, the reviewers are holding the bar high. That way we can ensure we maintain the high quality and selectivity you would expect from Cell Press. As part of the Cell Press family, we also benefit from the manuscript-transfer system between journals, so one review process can serve for consideration at more than one journal. 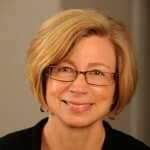 "I have been an Editor for many years and yet it is very exciting to start a journal from scratch – especially a high caliber, broad, open access journal at Cell Press. I am especially proud of the fact that the moment the paper is published it is available to everyone, everywhere. "I’d like to say a big thank you to all the reviewers and our Editorial and Advisory Boards but especially to our authors who helped us get the journal launched. It’s always a big leap of faith to get involved with a new project like this so I’m very grateful. I look forward to further expanding the scope of Cell Reports so that it truly covers all of biology." * Cell Press journals permit sponsored articles only in accordance to agreements with funding organizations. EDITOR, CELL REPORTS Boyana earned her PhD at Stanford University with Ron Davis, studying the mechanism of DNA recombination. She then did postdoctoral studies on the mechanisms of RNA splicing at Rockefeller University with Magda Konarska and at Columbia University with Anna Pyle. Boyana has been a professional Editor for more than 13 years, and she brings a wealth of experience in scientific journal publishing, as well as a deep understanding of biology and the communities that Cell Press serves. Thank you for making the Open Access licensing terms so explicit in this journal. In the past I have been very critical of Elsevier for obfuscating the terms of their “sponsored articles”: we can all hope that this journal marks the beginning of a transition towards greater clarity and transparency in ALL Elsevier’s OA doings. and don’t miss my comment! Hopefully these are simple oversights that can be quickly fixed. Thanks for pointing out the Permission Link issue which we are aware of, and are working on. Regardless of which CC license they choose authors retain copyright so the ‘Copyright @ 2012 Authors’ is correct. Any idea where it will stand in ranking ? Scientific report, an open access journal from nature, has a very low impact factor of 2.8ish in comparison to plos biology that that has a double digit impact factor. If you take data from SCOPUS about Cell Reports, so far around 550 papers are published and total citations so far = 1426 so IF = 1426/550 = 2.6. ( if my calculation is right :). Cell Reports is an open access journal that publishes high quality papers. Unlike Scientific Reports we are not a PLoS One clone. We are not publishing a high volume of papers where the primary criterion is scientific soundness. Like all Cell Press journals, the primary criterion for publication in Cell Reports, is new biological insight. Early indications (such as the immediacy index) are that Cell Reports will have an Impact Factor that reflects the higher bar we the editors and our reviewers have set. My calculation for the first IF of Cell Reports is about 7.5-8.0. It published 250 papers in 2012, and these papers have been cited for over 1000 times in 2013. Other journals with IF = 7 to 8 are just like that. In a longer term, its IF would be around 10-12.
how can you have IF 8 if you have 250 papers cited 1000 times ??? 1426/550 = 2.6 looks more fact based. I think it’s fact based, and just calculating the number 1426/550 seems to be oversimplification. I imagine the first poster assumed that the papers would get 2000 citations in 2 years if they got 1000 in 1 year. So he/she figured 2000/250=8. Of course this is wrong, and it derives from a common misunderstanding of IF, which is that would measure citations over the last two years. But this is wrong, and the first poster should look up how IF is actually calculated. However, the 1426/550 calculation is also flawed, because it includes papers published up to the present, which will still take a few months to start getting cited. Also, please keep in mind that Cell Reports first IF, to be released next year, will only take into account the papers published in 2012 (and how many citations they got in 2013), since the 2013 papers will not have their first year of citations tallied up until 2014 ends. How that will affect the IF in subsequent years will depend on how the journal was first viewed by the scientific community when it first came out and how it will react once the first IF is released. In any case, a quick comparison between papers published in Cell Reports and Scientific Reports at any period last year will show that Cell Reports are, on average, being cited more often. So while an IF of 8 might be a stretch, it will most likely be higher than Scientific Reports’ 2.8. I’m guessing something around 6, which would be not too shabby at all. I guess people discussing here are mostly scientists, so why don’t you read the papers published in cell reports? In our research field, the articles in cell reports are rather in-depth, and reflect the trends in the field. However, the quality in scientific reports is unequal and in many cases much lower….. If Cell reports gets first IF next summer around 5 or 6, it will be hard for Cell reports to become topmost Open Access journal in foreseeable future. Why would you pay fee to publish in Cell Reports (with IF of 5 or 6) when you can publish your work in Development, or Journal of Biological Chemistry or Journal of Cell Science at fraction of the cost? It seems that Cell Reports will get its first IF approximate to 7? Its first IF will be above 7.0, based on the updated citation statistics. In fact, many scientists believe that it will reach 10.0 very soon. Based on Scopus, the 249 articles published in Cell Reports in 2012 were cited 1737 times in 2013. This is a IF of 6.97, which is above Developmental Cell (6,41). But this is just for 2012 papers. The 2 year IF, which will come out in 2015, should be above 14. Its major competitor is nature communications, which however covers all natural sciences and publishes >2,000 papers per year. 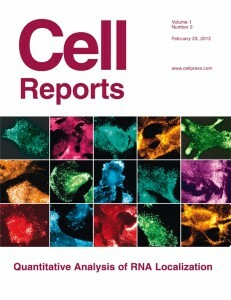 I prefer to read cell rep, which is a combination of complete open access and high quality. 5)On the quality of papers published on Cell Reports…They look like papers in Nature Commun. in 2010 when people just sent something clearly not accepted in other journals (like embo J). 5) I would say that, so far, the real direct competitors of Cell Reports are MCB or NAR while the real competitors of Nature Commun. are PNAS or Embo J. Just follow this link and compare between Nature Communications and Call Reports. You will get the idea. Cell Reports is already above the lower IF Cell Press journals (Dev. Cell, Current Biology) and also PNAS, EMBO J., Nat. Communications, Plos. This is the perception of many people and IF data is already confirming this or will confirm very soon. 249 articles published in 2012 received 242 citations in 2012 and 1794 citations in 2013. Therefore the IF would be =(1794+242)/249 = 8.17. Am I right? According to Scopus, Cell Reports IF will be higher than Nat. Commun. You can find that by simply comparing the first two year data. How is the first year impact factor calculated? I think the first year IF will be higher than that of Nat.commun., but it will be 8-9. The second year IF will be 12-14. Anyone knows when is Cell Reports getting officially the IF? I heard about June but not sure. Thanks! The form of Nature communications papers are very similar to Scientific Reports, but not Nature or its sister journals. However, Cell Reports papers are given the same form as other Cell journals. From this simple point, we may get an idea about the journal levels that are defined by the publishers. Cell reports can’t get high impact factor just because this journal don’t publish reviews. We can see lots of top journals publishing a portion of reviews. If Nature communications nod publishing review, that journal can’t get the IF above 10 easily. So, my question is whether Cell Reports will publish a portion of reviews in future? This score really frustrated me, although I think the quality of Cell Reports is above of Nature communications ! Why do you care IF so much? Do you want to publish your paper at Cell Research which has a IF over 10? We should strongly suggest the review articles to be excluded from journals which primarily publish original research articles. In this way, no journals can manipulate IF. Exclude the reviews to IF calculation at the journals primarily publish original articles. Do anyone can compare the weight between the “reports”, “article ” and “resource” in Cell reports? Is the “reports” type values impact factor above 10 ? Lots of reports papers contain not much data. Same question here. Does Cell Reports plan to publish Review Articles? If so, when? In fact, I also believe that review papers will help to increase journal IFs. When will this year IF be released?! Later than usual! Thank you! It looks like Cell reports already have a SJR indicator of 8.134 by Scopus. If I´m not mistaken this indicator is in general lower than IF what means that this journal is going to get a decent IF, probably above 10? That is quite higher than Nat. commun. (5.041)! Good news. Thanks. its first IF is 7.207, looks good. Now the IF is available for Cell Reports: 7.207. Is this a good or bad IF for the first year? How about 2015 or 2016? will be above 10, I guess. If ‘Cell reports’ does not publish a portion of reviews, it’s hard to get a IF over 10. The first IF of Nat Comm was similar 7.4. Too many papers to get its IF higher? PlosBio and eLife publish fewer papers and have higher IFs. Did you guys notice that Nat communs has also switched to full open access? it seems that the two journals are getting closer! Cell Rep papers are better than Nat Comm ones. I am quite sure. I deeply hope more than 9. When is the 2015 IF going to be available? Any estimation? 9 at least? Any news about the new 2015 IF release? In Scopus, Cell Rep is much better than Curr Biol except for Impact Factor.